A public IP address is the address that is assigned to a computing device or server to allow direct access over the Internet. Moreover the email server web server and any other server device directly accessible from the Internet are candidate for a public IP address. A public IP address is globally unique, and can only be assigned to a unique device. A private IP address is nothing but the address space provided or allocated by InterNIC to allow organizations to create their own private network. There are three IP blocks 1 class A, 1 class B and 1 class C reserved only for a private use. The tablets, systems and smartphones which are using behind your home, and the personal computers within an organizations are usually assigned with an private IP addresses. 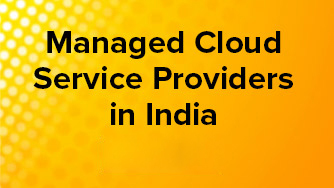 We provide the unique public ip address and private ip address to your cloud server hosting during the purchase time. If you want more ip address and you have buyed from us then first thing you need to do is adding those ip addresses. So we have made it much easier by our Add IP module under OVIPanel where you need to add those newly purchased ip addresses. You can see Search box on the right hand side, kindly search for Add IP and click on it. Under Add IP Module you can see the form to enter your new public ip address and private ip address and click on Add Public IP.